Stanley Jean-Baptiste sacks Danny Etling. NEB: A.Abdullah 20-126; T.Newby 10-61; I.Cross 16-56; K.Frazier 3-9; T.Armstrong 4-5; TEAM 1-minus-2; R.Kellogg 2-minus-4. PUR: A.Hunt 10-57; B.Cottom 2-14; R.Mostert 3-7; D.Dawkins 3-4; D.Etling 7-minus-50. NEB: T.Armstrong 6-18-3-43; R.Kellogg 10-13-0-141. PUR: D.Etling 14-35-1-184; R.Henry 0-1-0-0. 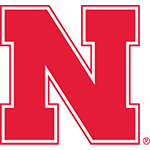 NEB: Q.Enunwa 4-72; J.Westerkamp 3-53; K.Bell 2-29; C.Carter 2-15; A.Abdullah 2-7; T.Foster 1-9; S.Cotton 1-2; T.Newby 1-minus-3. PUR: De.Yancey 5-146; S.Mikesky 3-17; J.Sinz 2-10; A.Hunt 2-5; C.Posey 1-5; D.Dawkins 1-1. Quincy Enunwa scores in the fourth quarter. 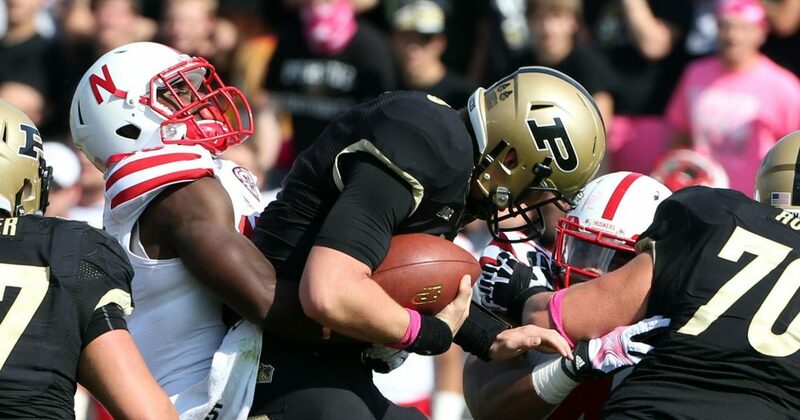 Blackshirts Blast Purdue:Nebraska’s Blackshirt defense just missed its first shutout since 2009 as the Big Red rolled to a 44-7 win at Purdue. Purdue was held to just 216 yards of total offense. Randy Gregory led NU with two sacks for a total of 28 yards lost. 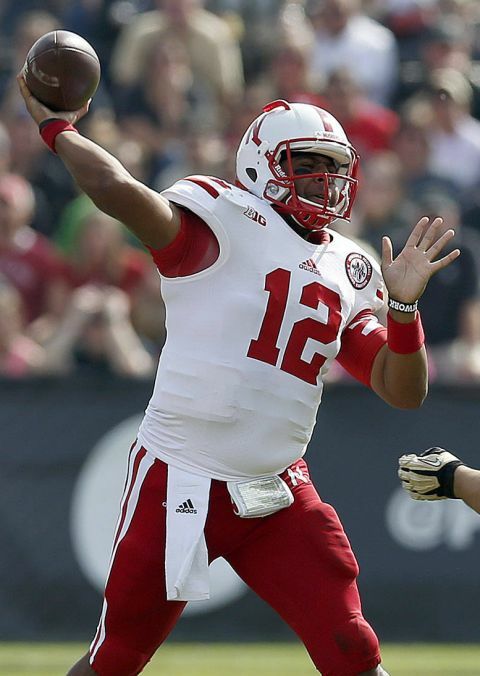 His second sack went for 17 yards and a third-quarter safety that put Nebraska up 30-0. Ameer Abdullah powered the offense with 126 yards on 20 carries. He became the 28th Husker in history with 2,000 career rushing yards. What was impres­sive on Saturday was you didn’t see very many missed tackles or coverage busts. I’m willing to live with a few questions on offense if the defense finds answers and gains confidence. So has this young defense grown up, or are they just great against bad teams? It’s difficult to imagine a much better schedule to help Nebraska’s young defenders get their bearings. NU needs its offensive line to shine in November and Long’s absence would make the task more difficult. The quarterback controversy of 2013 ended Saturday. 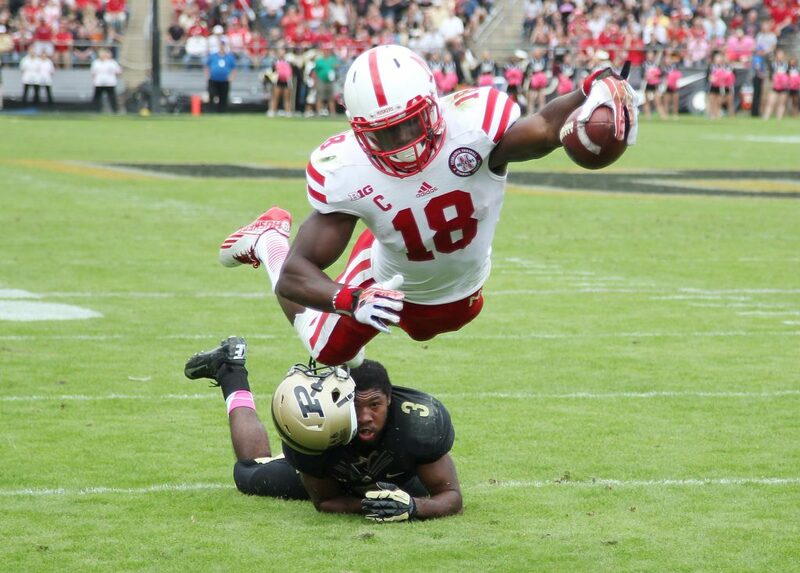 The Nebraska defense has indeed made great strides in the past couple of weeks.